Free Shipping Included! Unisex Acoustic Guitar Heartbeat (Guitar Musician Design) Shirt Large Royal Blue by Cool, Electric Acoustic Guitar Long Sleeve Shirts at Debbie Dee Music. Hurry! Limited time offer. Offer valid only while supplies last. 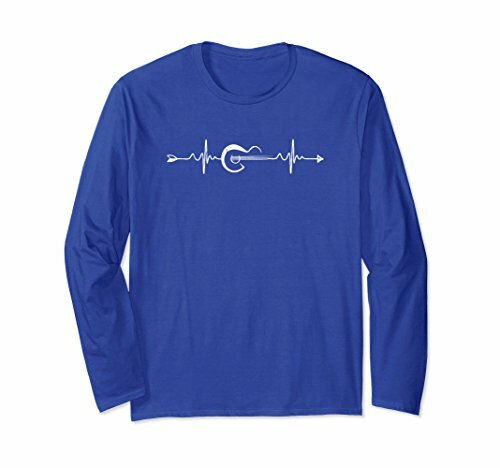 Jazz, Funk, Rock, Blues, Reggae, A Perfect shirt for classical guitar and acoustic guitar players - shirt features a great EKG Heartbeat Pulse line with an acoustic guitar imbedded in the pulse line. Great gift for acoustic musicians and guitar players! Perfect Gift Idea for Men, Women, Kids - Vintage, Musical, Music Explosion Shirt. Cool present for dad, father, mom, brother, sister, marching band, husband, wife, boyfriend, uncle, band leader, vinyl lovers, boy, girl, aunt, nephew, mother or a concert. If you have any questions about this product by Cool, Electric Acoustic Guitar Long Sleeve Shirts, contact us by completing and submitting the form below. If you are looking for a specif part number, please include it with your message.